A challenge is a situation or circumstance that could potentially trigger a negative emotional reaction in you. Challenges can be big or small. A challenge for you could be washing dishes. Maybe you hate washing dishes and you feel frustrated, impatient, and annoyed when you perform this task. Maybe a challenge is that you have an upcoming meeting with your boss and you’re feeling anxious and worried. Maybe you don’t like mornings. Maybe you dread Mondays. Maybe you have a difficult mother-in-law who is dropping in for lunch tomorrow. We all have challenges. What are your challenges? What things predictably get under your skin, get your goat, ruffle your feathers? There’s a key word in there. Did you catch it? Predictable. Challenges are so often predictable. If you weren’t born yesterday, you have a pretty clear idea of what is going to potentially bother you today. Next Wednesday comes, the meeting goes exactly how you expected. You go home and have a short fuse with your spouse and kids. You settle yourself in front of your best friend, Netflix, and binge on cheesies. Exactly as you expected. Predictable. So if you know it’s coming, if you can predict what’ll happen, if you are aware of how it’s going to turn out…why don’t you do something about it before it all goes down?! Don’t wait for it to go exactly as crappy as you expect so that you can confirm that it was crappy. Change it up! But how? 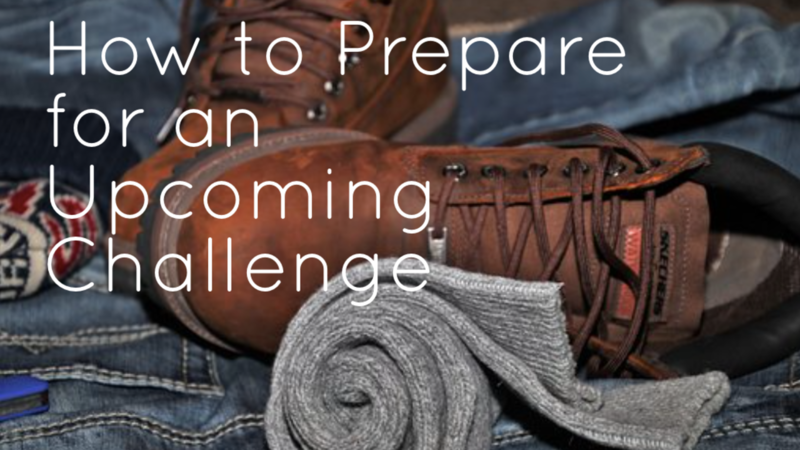 Follow these steps to prepare for the challenge and set yourself up for success. Step 1: Envision the challenge (big or small, it doesn’t matter). Step 2: Put the challenge in perspective. All too often we are making mountains out of molehills and wondering why we’re so exhausted after a day of “mountain”-climbing. Step 3: Ask yourself, “In an ideal world, how do I want to feel in this situation?” Maybe you want to feel calm, content, engaged, or any other positive emotion. No one wants to feel angry, upset, or victimized, so you’ll notice that those don’t make the list. Step 4: Practice feeling that way. Notice, this isn’t positive thinking; it’s positive feeling. Feeling positive is a skill that must be practiced! Step 5: In the time period leading up to the challenge, when you begin to feel anxious, worried, angry, or otherwise not good about the challenge, stop it. Instead get yourself out of your head, back into your heart, and feel that emotion you’ve identified in Step 3. Be sincere. Step 6: In the moments just prior to the challenge, set aside a couple minutes or seconds to get yourself into the emotion you’ve been practicing. It’s much easier to end on the right foot if you started out there. What’s your challenge? Are you going to let it go as predicted, or are you prepared to make it turn out differently?